Since its arrival, the DC Health Link has helped thousands of people find, compare, and select insurance policies that meet their budget and unique needs. The growing health insurance marketplace, created pursuant to the Affordable Care Act (ADA), quickly became an integral part of the highly-competitive hospitality industry. However, with the future of the ADA now up in the air, any future updates could significantly impact participants of the DC Health Link going forward into 2018. This includes the approximately 74 percent of eligible DC residents had enrolled in the DC Health Link as of February 1, 2016, according to a Kaiser Family Foundation analysis. 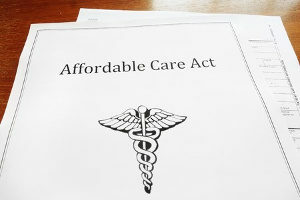 While it is not yet clear how President Donald Trump and Congress will revamp the federal health law known as Obamacare, or the Affordable Care Act, it is important to consider the possible outcomes. However, there are plans to use a budgeting rule to disassemble a portion of the law. There could also be revisions to crucial regulations that contributed to how the law was implemented. Small group plans are not the only ones to feel the tension surrounding the future of the health law. Larger groups could also feel its effects. In July, Senate Republicans voted to open debate on repealing Obamacare. Senate Majority Leader Mitch McConnell and Republicans have promised for seven years to repeal the Affordable Care Act if voters chose to give them control of the White House and Congress. Democrats opposed the measure. Moderates opposed repealing the ACA without first having a suitable replacement. Only a small portion of the health law is now set to repeal. Republications aim to repeal three parts of the ACA, including the individual and employer mandates, as well as the medical device tax. These areas of Obamacare may be altered or expanded. One of the biggest changes to the DC Health Link in upcoming months affects enrollment. Open enrollment for 2018 coverage is scheduled to be significantly shorter than it has been in previous years. Nationwide, enrollment is set to range from November 1st, 2017 to December 5th, 2017, a span of just over six weeks. This enrollment period is virtually half the length as it has been in the last several enrollment periods and half as long as it was originally scheduled when the new dates were announced in April 2017. In the new regulation HHS noted that state-run exchanges could use their flexibility to establish special enrollment periods that could potentially extend open enrollment. In June 2017, the DC Health Link announced that open enrollment for 2018 would follow its original time frame starting on November 1st, 2017 and ending on January 31st, 2018. Minnesota and Colorado have also made the decision to extend open enrollment, but only until mid-January. So far, the DC Health Link is the only state-run exchange that has chosen to maintain the full three-month enrollment time frame for the year of 2018. More plan options have been proposed for 2018. DC Health Link now offers individual market plans from Kaiser and Care First Blue Cross Blue Shield. There are also four small group plans available from four different insurers, including Kaiser, Aetna, Care First, and UnitedHealthcare. Some insurers offer plans under separate entities. For example, PPOs and HMOs are two separate entities. The deadline for DC insurers to file plans and rates for 2018 coverage was May 1st, 2017. Unlike other parts of the country where choices are minimal, DC insurers have filed proposals for more plans in the upcoming 2018 year then were offered in 2017. In the individual market, 26 plans were filed and in the small group market, 158 plans were filed. Due to a high Medicaid limit, cost-sharing reductions (CSR) have been found to be insignificant. Trump’s decision to cut funding for CSR has had a direct impact on premiums in 2018. On the assumption that CSR funding would end in the upcoming year, many insurers have already filed rates, many choosing to revise their filings during the emergency refiling window to add in the cost of CSR. However, the impact of CSR funding is minimal in DC. Kaiser and Care First had also already proposed rates for 2018 based on the assumption that CSR funding would continue. Overall, CSR funding has minimal impact with only 300 people in DC receiving CSR benefits at a total cost of approximately $150,000 per year. There is a reason why so few people receive these benefits. 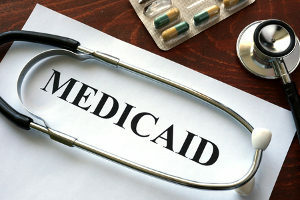 DC Medicaid covers people with an income of up to 215 percent of the poverty level. Under the Affordable Care Act, CSR benefits extend to 250 percent of the poverty level. In DC, most people with income up to 215 percent of the poverty level are on Medicaid instead of using private plans, meaning no CSR. In 2018, DC Health Link director, Mila Kofman reported that the market stabilization rules could possibly end up creating less stability in insurance markets. A proposed rule could potentially allow insurers to deny coverage to applicants who have lost their coverage under an insurer’s plan within the last year for the non-payment of premiums. New rules could require the applicant to pay up any past-due premiums before they can enroll. This new rule would likely make applicants less likely to re-enroll due to the lack of funds needed to pay past-due premiums. Many people want to know what is in store for the DC Health Link after the end of 2017. New benefits are sure to make their way to applicants, including new ways to find information, a self-service billing and payment functions that will allow employers to make one-time or recurring payments, and the extension of a nationwide doctor directory that customers can use to connect directly with health plans with national networks. To learn more about the future of the DC Health Link, contact the Business Benefits Group today.